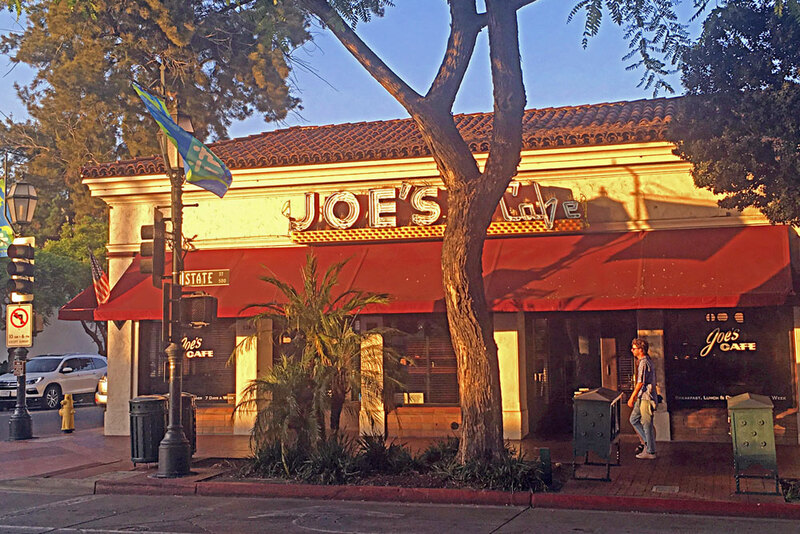 Joe's Cafe, one of Santa Barbara's most cherished State Street jewels, is celebrating its 90th year, with a big party. The restaurant and bar, 536 State St., will revel in its longevity on Sept. 23. From noon until 10 p.m. that day, Joe's will offer throwback prices on its French dip sandwich. All dips will cost 90 cents that day, "until we run out," said Joey Somerville, manager. The secret to Joe's success? "We have so many locals," Somerville said. "We really try to cater to the locals. And the staff has been here so long. They are familiar with the people. He said "generation upon generation" visit the restaurant, which moved to its current spot from lower State Street in 1985. Joe's has survived the comings and goings of an array of downtown restaurants and bars over the years, from Madison's and Zelo's to Madhouse and Aldo's, to thrive as a destination for locals and tourists who want to taste their food and enjoy their drinks. Joe's markets itself as having the stiffest drinks in town. "We give a quality pour for a reasonable price," Somerville said. "People know to go to Joe's for a good drink."